- ice creams – anywhere, anytime! We were thrilled at Bridal Survival to see the cover of new Sydney wedding magazine Your Wedding. Bridal Survival’s Exclusive Bridal Emergency Kit – Sarah took a little limelight! Inviting your friends’ and relatives’ children to your wedding can add to the joyousness of the occasion if you are well prepared. Have some designated carers – either trusted family or friends, or trained carers – to look after the children, so that their parents can relax and enjoy themselves. Prepare your reception venue by taking note of all possible hazards – water near by, a kitchen area, large expanses of glass etc – and make sure your carers are aware of these. Make sure that your carers know who they are looking after so they are aware of where they are at all times. Children need to drink and eat well before the adults so ensure that a table with fun versions of the ‘grown up’ food – iced drinks, finger food, water ices, lollipops, is readily available. Ask the parents if they prefer some foods not to be available to their children – such as lollies or coloured ice blocks. Some children may have allergies – so warn the chef accordingly. Games such as cricket, ball games, bubble blowing can be set up in an open space, or making sand castles if at a beach venue. A spot for quiet activities, equipped with paper and crayons and coloured pencils, board games, puzzles – perhaps set out on a picnic rug in the shade will encourage cooling off in the heat. A quiet corner for naps will ensure that parents don’t take home screaming frazzled children. Valentine’s Day 2009 is creeping up slowly! There are so many creative ways you can spend time together on Valentine’s Day without feeling like the day is full of consumerism. So we’ve come up with a list of five ideas to get your creative juices going. 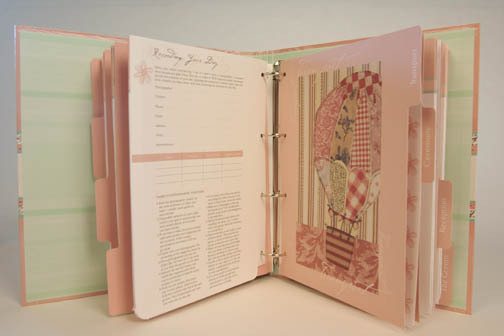 These don’t have to be limited to Valentine’s Day, they’re great for a night out or wedding planning break too! 1. Buy delicious gelato and take a walk along the beach. You can often find some of the Bridal Survival team lurking at the delicious 7 Apples Gelato in St Kilda who make an amazing blood orange gelato. 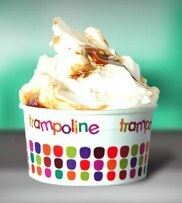 We also love Trampoline Gelato (We love their lychee and lime!) and if we want something a little more indulgent- we can’t go past Cold Rock Ice Creamery with Picnic bars mixed in! 2. Check out the latest flick in style. 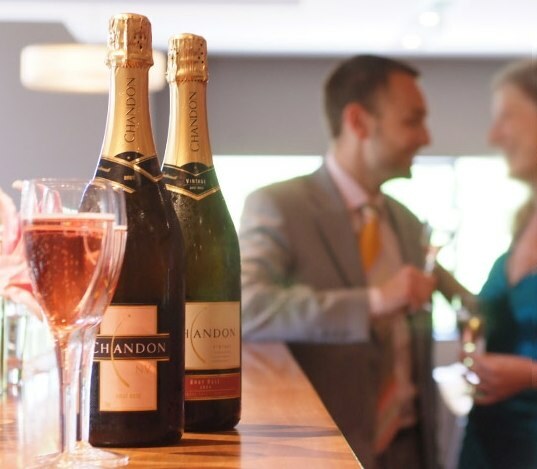 Visit your nearest Gold Class cinema and spend the night watching the latest blockbuster with a glass of champagne, chocolate and great company! New flicks out in time for Valentine’s Day include Rachel Getting Married, Curious Case of Benjamin Button, Marley & Me and Revolutionary Road. Bridgeclimb are offering special Valentine’s Day packages including photos, a climb and a bottle of sparkling wine and a message in The Daily Telegraph. There’s even a package for those that may be carrying a special ring to the peak. Packing up your favourite gourmet delights and take a basket to an unexplored place for a peaceful Valentine’s celebration together. Choose delicious foods such as cheeses, dips. smoked salmon, crusty bread and fresh, ripe fruit like cherries. Think foods you can pick up quickly from your local deli for a fuss free affair. There is nothing better than scouting out the best wineries for a taste of their home grown creations. Spend a day sampling at your favourite wineries, try new ones and stop for lunch at a restaurant overlooking a vineyard. If you’re feeling like spending a little more- consider hiring a limousine for a wine tour. We love Wine Diva’s list of Australia’s wine region tour companies. 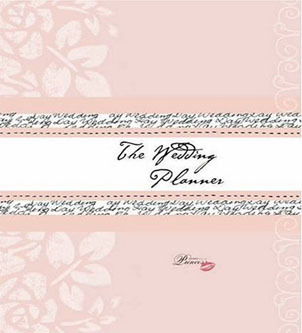 Bridal Survival is also offering Valentine’s Day giftwrap for any special treats you might like to gift to your loved one. 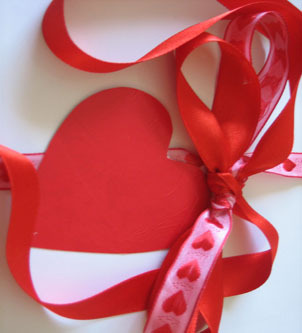 Using glossy white paper, the gift wrap features pink ribbon and red ribbon with a red heart gift tag. It’s available now in our online store here.